Tesla’s (s TSLA) VP of manufacturing Gilbert Passin pretty much summed up Tesla’s newly acquired automotive manufacturing plant in Fremont, Calif. on a rare tour on Wednesday, when he said: “This factory is huge.” At 5.2 million square feet, the NUMMI plant — previously the production site for Toyota’s joint venture with General Motors — is a massive factory space, filled with the remains of huge car stamping presses, cranes, pits, and left-over assembly line equipment. 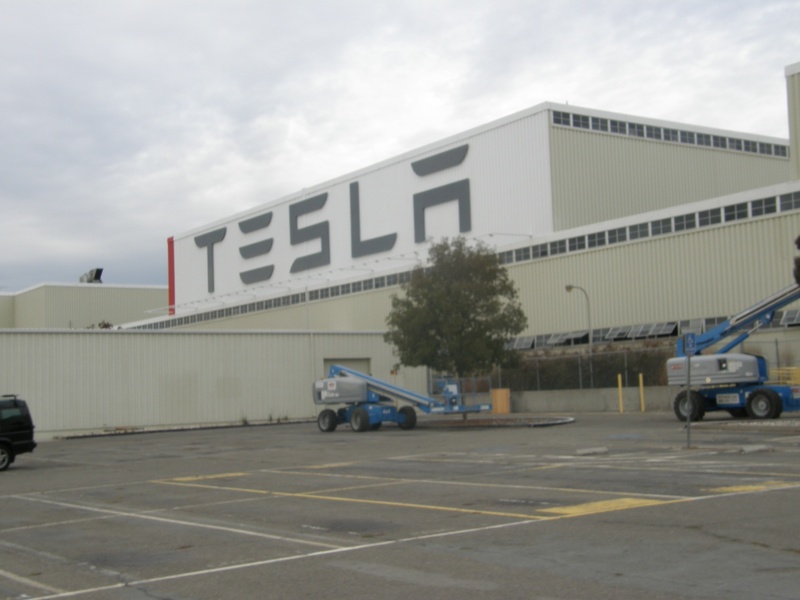 Tesla bought the plant for a shockingly low $42 million (in comparison Passin pointed out single pieces of equipment in the plant that cost tens of millions throughout the tour), and will only use some 20 percent of the space to build the Model S. The other 80 percent will get “mothballed,” according to Passin, until Tesla decides to launch more cars in the future beyond the Model S.
Tesla is in the process of inspecting, itemizing and acquiring various pieces of equipment throughout the factory, and many of the photos I took on the tour have signs placed on them marking them as a “Purchased Asset.” The beginning of the media event was also marked with an unveiling of a large Tesla sign on the side of the NUMMI plant, and a speech and Q&A session with Tesla CEO Elon Musk and Senator Diane Feinstein. All best wishes for success!